Do you want to display multiple clocks of different country and timezones? 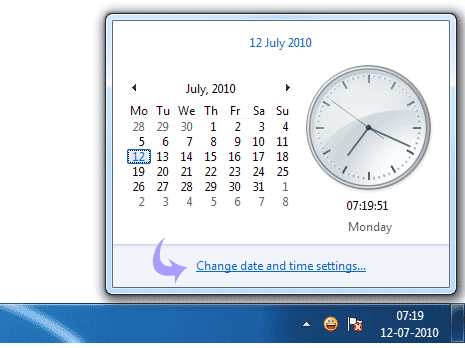 You can easily do this on Windows 7 taskbar using in-built feature of “Additional Clocks”. It allows you to add and show two additional clocks on the taskbar. Using this, you can easily track current time of upto 3 different places around the world. 1. Click on clock at bottom right of taskbar. Then click on “Change date and time settings”. 2. Then click on “Additional Clocks” tab on ‘Date and Time’ dialog box. 3. 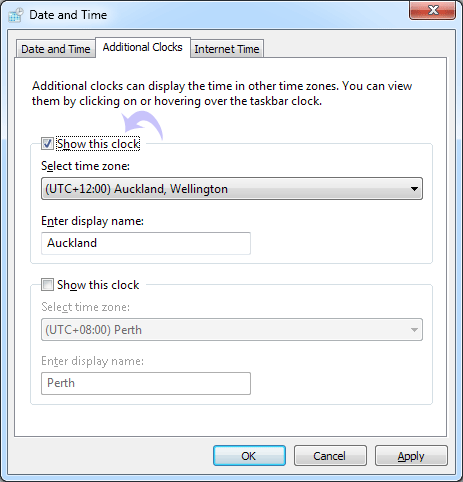 Click ‘Show this clock’, then select timezone from drop down menu. Also enter display name for the specific clock. You can display upto two additional clocks showing times of different location. 4. 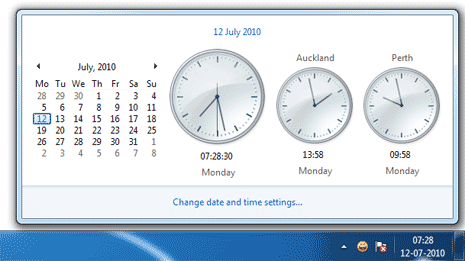 Then click clock on the taskbar to view all 3 different clocks in one view. For sure a handy feature to keep track of time of upto 3 different places anytime.